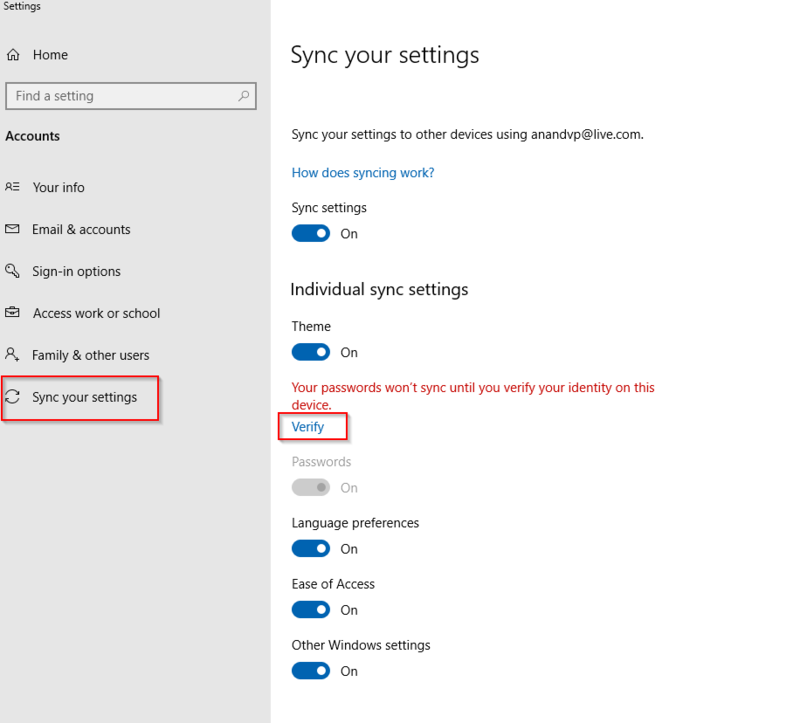 Sync settings when enabled in Windows 10 will sync your Microsoft account preferences like Themes, Language Preferences and so on. This is to ensure a consistent user experience across all Windows 10 devices that are signed in with the same account. Open Windows Settings (Windows key + I) and choose Accounts. Go to Sync your settings. 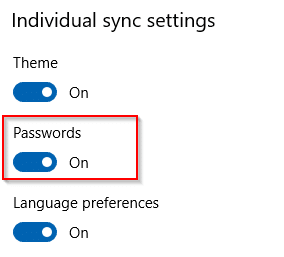 From Individual sync settings, if you have signed in using the same Microsoft account that was used previously either on a different Windows 10 device that had sync on or have reinstalled Windows 10, all other sync settings are enabled and active except Passwords. Next to it will be a message of identity verification. Click on Verify. The verification process can be done either by sending a passcode to your email account, by using a verification code from mobile app or through text message. 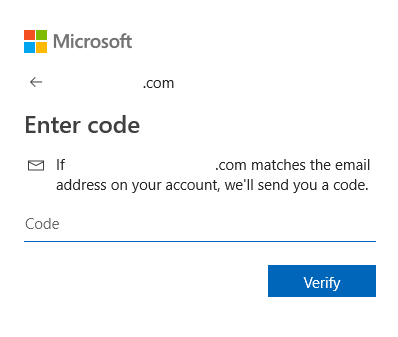 Choose as needed (email verification in this example). 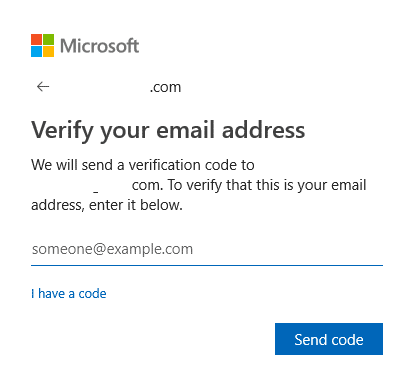 Enter the email address in full when asked and click Send code. 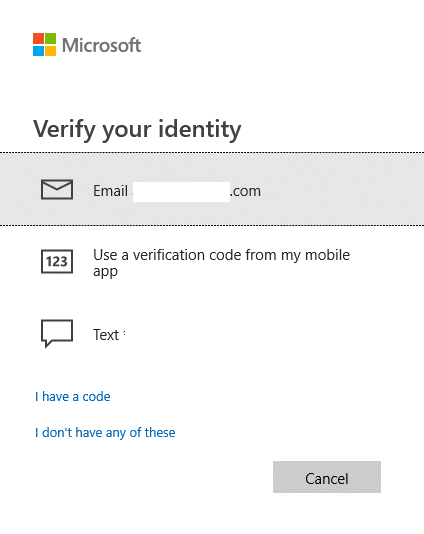 You’ll receive the verification code to that email address, enter it during the next prompt and choose Verify. Passwords too will now be synced and the message of requiring verification will no longer be there.